Strengthening Scotland’s relationship with China has generated an additional estimated £220 million for the economy. Since the publication of the Scottish Government’s first China Plan in 2006, Scottish exports to the world’s second largest economy have risen sharply and are now worth an estimated total of £1.295 billion in 2007-2010, compared to £1.075 billion between 2003-2006. It comes as a new five year strategy for Scotland’s engagement with China is launched by External Affairs Secretary Fiona Hyslop, on the first anniversary of the arrival of the Giant Pandas (pictured above) at Edinburgh Zoo. * A dramatic increase in exports of Scottish food and drink, up by 44 per cent from £64 million in 2010 to £92 million in 2011. * The award of an export health certificate allowing direct exports of Scottish salmon, worth £38m between January 2011 to August 2012. * Scotch whisky received Geographical Indication of Origin Status in China in 2010, which protects against counterfeit products in that market. * Whisky exports to China rose 21 per cent to £66 million in 2011 compared to 2010. * The loan of two Giant Pandas to Edinburgh Zoo, which have attracted more than 500,000 visitors in their first year. * An increase in the number of Chinese students coming to Scotland - growing from 5,215 in 2009-10 to 6,665 in 2010-11. * Collaboration on science, renewable energy, education and culture including digital scanning of the Eastern Qing Tombs as part the Scottish Ten project, and tours by Scottish Opera, the RSNO and the Scottish Ensemble in 2012. Ms Hyslop said: “Scotland’s relationship with China - the world’s second largest economy – is tremendously important. Since the first China Plan was published we have been working hard to deepen existing ties and establish news areas of cooperation, an approach that is clearly paying dividends. “Our new China Strategy will build on these successes and ensure that Scotland’s engagement with China continues to deliver tangible results – such as the boost to sales of food and drink and the loan of two Giant Pandas to Edinburgh Zoo, a symbol of the great and growing friendship between our two countries. 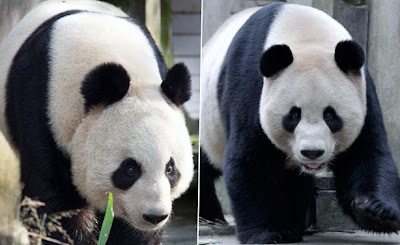 “This Strategy – published on the first anniversary of the arrival of the pandas – sets out our ambition to broaden and deepen Scotland’s links and common interests with China. Priorities include strengthening trade, education and cultural links as well as engaging with China on the issue of human rights.